As a general contractor, we often advertise ourselves as a one-stop shop of sorts for customers. This is because we can do everything from a full kitchen or bath remodel, exterior work like new roof or siding, decking and porticoes to full restoration services for after a fire or water loss. That doesn’t mean, however, that we’re a jack of all trades and master of none. You see, within our company, we have people who specialize in each individual field. The benefit of being an established company with over 26-years of experience is that we are able to hire the most skilled individuals in each field. 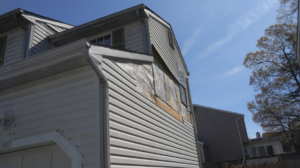 We have project managers that just work within storm damage insurance claims and project managers that only work on large losses. We have those who specialize in retail and those who work behind the scenes with the project managers on the coordination of each job trade. By structuring our business this way, our team is able to fully master their trade. 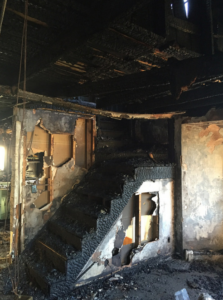 The complexities on a fire rebuild will be vastly different than that of a retail kitchen. It doesn’t make sense to have one person try to master both. It would be like having your general practitioner perform surgery in place of an actual surgeon just because he went to medical school. When you work with a general contractor, be sure to bring up this point. Many companies have the same project managers writing retail estimates, working on hail claims, and also working on water losses. No one can do it all well and you are better off working with someone who specializes in the service you are looking to have done. This ensure you are truly getting the best possible service.